Tradewind Tiaras: New Product: Tiara Recycled into Christmas Ornament! 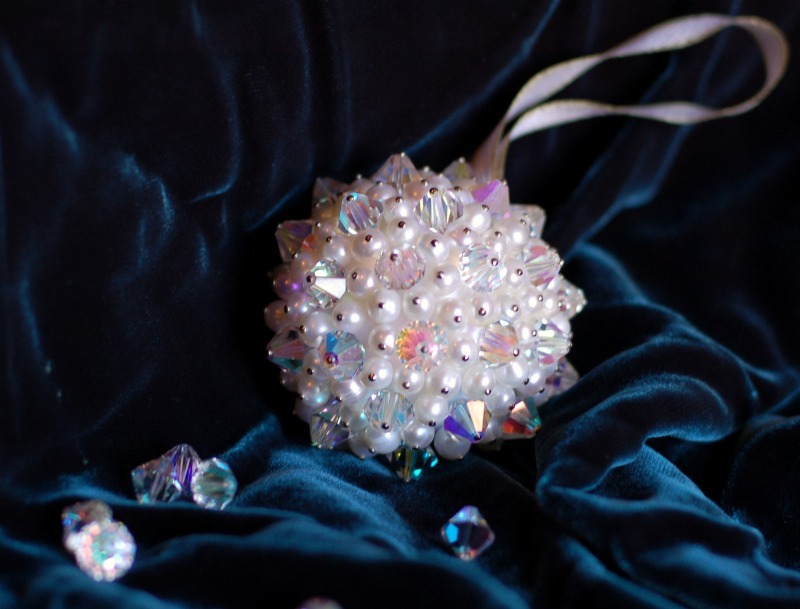 New Product: Tiara Recycled into Christmas Ornament! Yesterday I talked a bit about our restringing service. We can take your wedding tiara, take it apart, and create beautiful jewelry appropriate for everyday and special occasion wear. But we can also do other things with your pearls and crystals. How about turning it into a Christmas ornament? I love hanging all the ornaments on my Christmas tree, remembering the stories behind each one. What a wonderful memory to conjure when you put this special ornament on your tree!